Who doesn't love a great cuff bracelet? 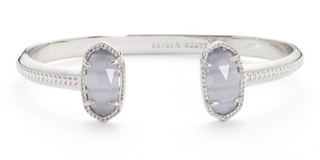 A cuff is easy to add to any outfit and generally it's a statement piece that doesn't need an arm party. Today we're looking at slim cuffs that are delicate but still make an entrance. I love the mix of silver and this slate. Its icy and chic. Obsessed. 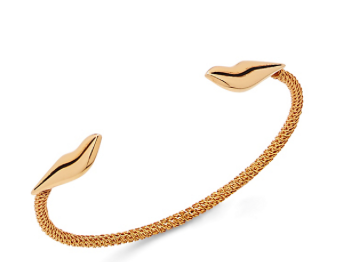 Textured cuff with a feminine lip detail. Great geometric shapes, but what's better? This druzy stone. Gorgeous. Yes, you read that right, 50% off Kate Spade. Talk about a classic piece for a steal. What a lovely way to dress up your outfit. 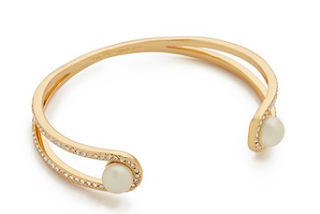 A skinny cuff is delicate and simple while still showing off some personality.